Anthem’s early-access release is just a little over a week away, and EA and BioWare have revealed a bunch of new details about the game’s post-launch support. 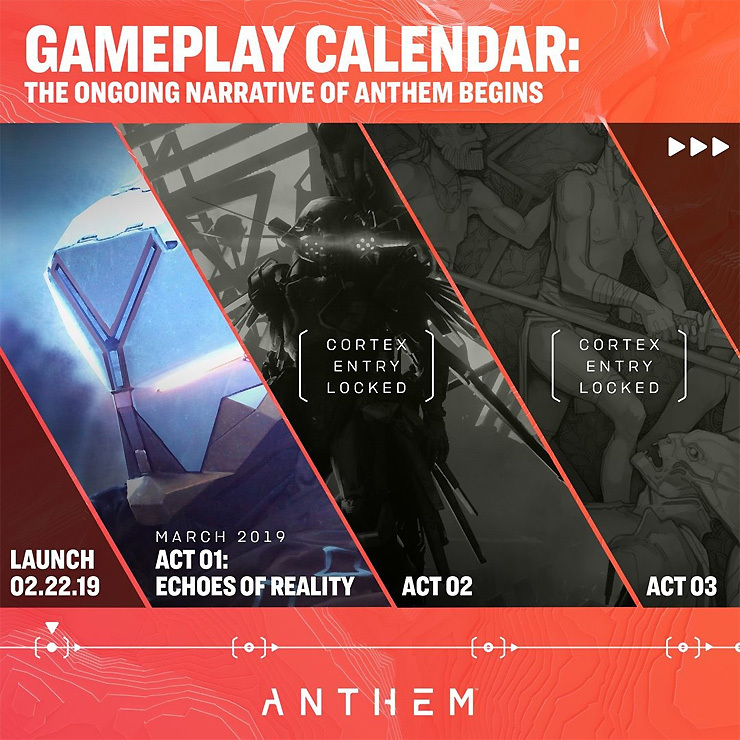 BioWare is working on three “acts” of post-launch content – the first act, entitled “Echoes of Reality,” drops in March. Echoes of Reality will, itself, consist of three updates – Evolving World, Stronger Together, and The Cataclysm. As we learned recently, Cataclysms are seasonal events that will provide new, more imposing challenges for the player. You’ll likely have to tackle them multiple times, collecting new gear along the way, to fully complete them. 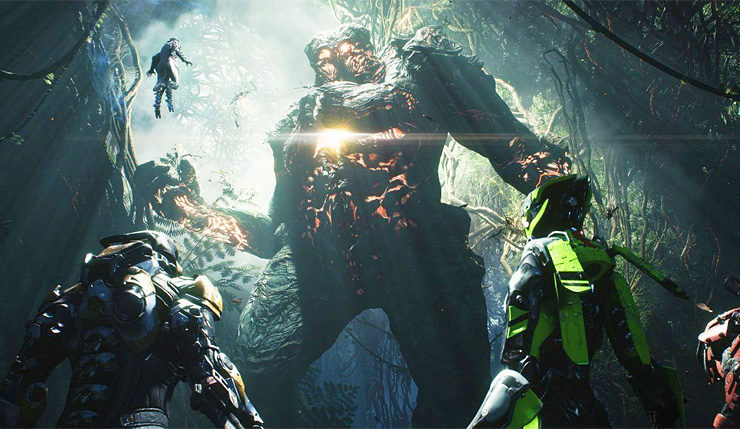 The opening of Anthem, which I got to play during a recent preview event, is a sneak peak of sorts at Cataclysms, and I have to say, they seem like they’ll be pretty intense. You can check out a video rundown of all of Anthem’s endgame/post-launch content, including Legendary Contracts, Strongholds, and Cataclysms, below. 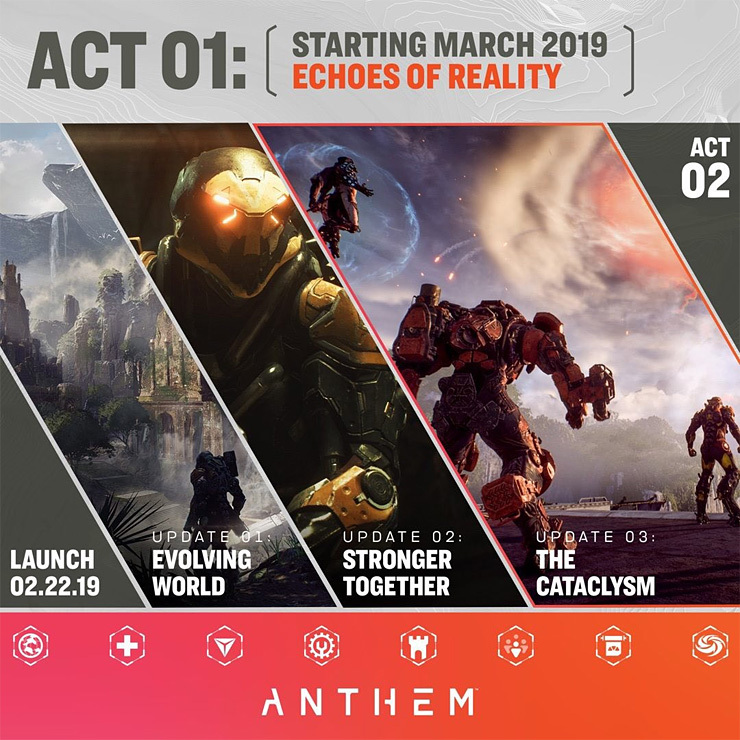 Anthem boosts onto PC, Xbox One, and PS4 on February 22, with Origin and EA Access subscribers being able to get a head start on the game on February 15.